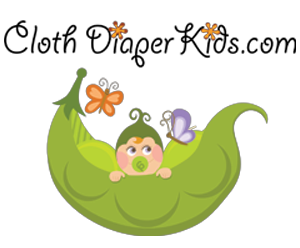 Super excited to bring you a giveaway from one of my favourite night time cloth diaper WAHMs - Ambre at Seams Sew Fluffy! Her super cute and incredibly well made hybrid fitted cloth diapers have become a staple as an overnight diaper for my heavy wetter! Meet Ambre, the work at home mom behind Seams Sew Fluffy. She has been making handmade cloth diapers and more for a little over a year now. She loves eco friendly products and strives to provide cute, handmade items to her valued customers. She is also a mother to two beautiful children who keep her very busy outside of work. She started cloth diapering with her youngest, and fell in love right away. Which also led to a diaper hoarding addiction which she soon turned into a fabric addiction. 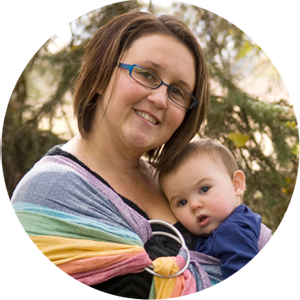 She loves making cloth diapers and working with her customers to create something they absolutely love! My Most Recent Purchase from Seams Sew Fluffy! Ambre/Seams Sew Fluffy's specialty is making hybrid fitted diapers. Her diapers have a super cute print outter and include a very absorbent soaker 8 layer fold over soaker made of heavy organic bamboo fleece. Most of her diapers range between $26-$30 (including shipping to the USA), and she frequently runs awesome specials/sales! Be sure to check out the ready to ship items in her brand new hyena cart shop and stop be her awesome facebook page to check out all the assortments of fabric available for her fabulous creations! This giveaway is open to residents of the Canada & USA Only. Prize includes shipping to the USA (Canadian winner must pay $5 to have shipped to Canada). Winner will be chosen using Rafflecopter, and notified by email and/or facebook. Winner has 48 hours to respond before the prize is forfeited and a new winner is chosen. Prize is shipped from chosen Supplier. This giveaway is not sponsored, endorsed or administered by, nor associated with Facebook. By entering, you release Facebook from any responsibility and understand that the information entered on this form will not be disclosed to Facebook. 3. Zephyr Hill 11. Erickson and Co.
8. Not Quite Crunchy Mommy 16. You're next! If you are participating in Blog Fodder, fill in the form below and press Enter. So many cute things! I love the sushi print, and the rockets are adorable! Oh, and Happy Rain! I don't know how I would choose! love the snoopy fabric on facebook, adorable. I would want a super hero custom like batman or captian america. I would love to have a custom made with the cute bicycle print! I'm not sure what a cow dog is but I'm liking the colors. Well, I might choose the cute one with the unicorns and carriages. So adorable. I saw a few others I like too! I'd love a Happy Rain diaper! So cute! The sushi print! It's adorable! I like Christmas prints, candy skulls & care bears, and the galaxy looking fabrics are neat too! Definitely a lot to choose from & something for anybody! Which one which one... love the far out and the woodlands! I would love either something with cupcakes or pink with black stars. Or something firefighter but girly for my baby girl since her daddy is a fireman. Oh which one?? My husband loves Hello Kitty, so the fabric on FB post June 20 is adorable! The whales on FB post June 18 are super cute too! As is Happy Rain...choices, choices! For my custom, I would love the white with the black and pink leopard print fabric from the November 30, 2013 fabric selection photo post. I really love the woodlands, this is such a cute pattern! I'm so torn! I love the tie dye one, but I'd love to get a superhero customized diaper for my daughter! i would so love to getthe Fire Jack Hybrid Fitted for my little man!! I'd want a TMNT diaper. So many options! I'm dying for an HP diaper but I love the Tula prints they work with. The space ones are precious! Definitely the Very Hungry Caterpillar! A ton of cuteness but I think I'd choose the hungry caterpillar theme. I LOVE that Fire Jack Hybrid! Huge Fan of The nightmare before Christmas! 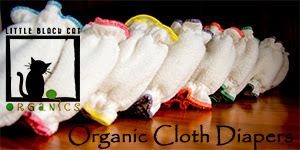 I am new to cloth diapering and would love to try different types of diapers. I love this animal print, it is so bright and cheery! I'd love the Jack print or black/white Hello Kitty print with a bright pink interior! The sushi print! SOO adorable! I really like the jack print!